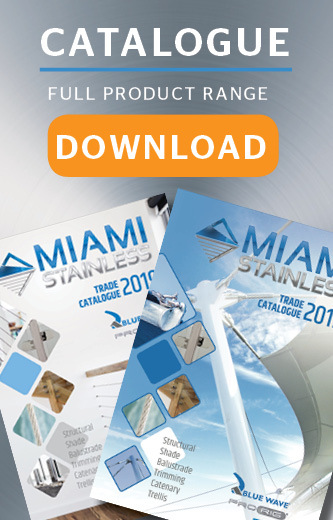 Miami Stainless Net Clips can be used with stainless steel wire balustrade to intersect a vertical wire with existing horizontal wires or in Green Wall applications to create a stainless steel wire net up a wall or panel. Using Miami Stainless Net Clips with stainless steel wire balustrade can minimise the spread of wires and in some situations by used as an alternative to an intermediate post. Net clip to suit 3mm wire AISI 316Net Clips are used with our green wall wire trellis systems t..
Net clip to suit 4mm wire AISI 316Net Clips are used with our green wall wire trellis systems t..